Thor Motor Coach is America’s #1 Motor Coach brand. Thor offers an extensive lineup of both gas and diesel powered Class A and Class C motorhomes. With their wide variety of recreational vehicles, you are sure to find something for your budget, and your needs. Thor Motor Coach was formed when Damon Motor Coach and Four Winds International strategically merged in late 2010. 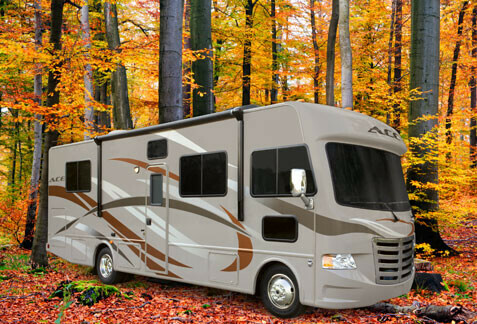 For over 29 years Damon and Four Winds built some of the most recognizable brands in the RV industry, including; Ace, Challenger, Daybreak, Chateau, Four Winds, Hurricane, Outlaw, Palazzo, Tuscany, and many more. If you are a motorhome enthusiast, or this is your first motorized RV, Thor products should be considered.